Ever used earphones or a regular headset for a long period of time? Hurts the ears right? 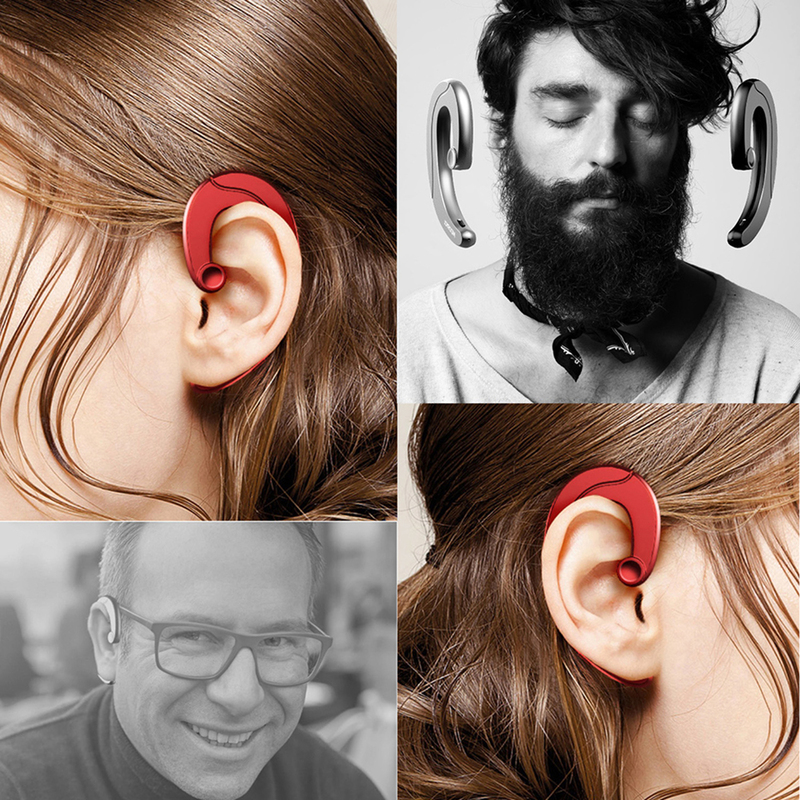 This special Bluetooth headset is shaped to match the exact outlines of your ear. This way, no pressure is ever applied to you ear and you can keep listening to your music or receive calls with no pain! All you need to do is place the headset on the outside of your ear and Turn it on with a simple click of a button. It looks so futuristic and is compatible with any phone via V4 Bluetooth. Receive or end calls and listen to music, all with no wires what so ever! Simple and Innovative Controls: Turn it on/off with a simple click of a button. 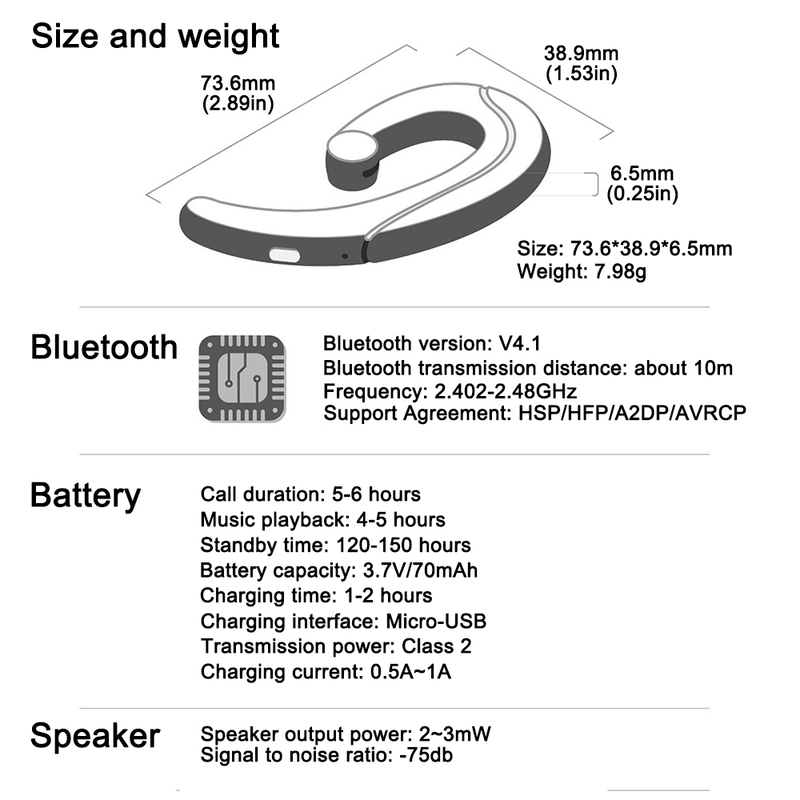 Updated Bluetooth Technology: Compatible with the latest V4.1 Bluetooth technology.